ThinkWrite headsets are built to take advantage of the single jack for recording and listening on Apple iPads, Google Chromebooks, Kindle Fire, mobile phones and laptops. They are very useful for speech to text (Siri or Dragon), gaming, voice/video chat (Skype), language learning (Rosetta Stone) and recording voiceovers. They have been designed specifically for use with students in classrooms, but are perfect for all users. 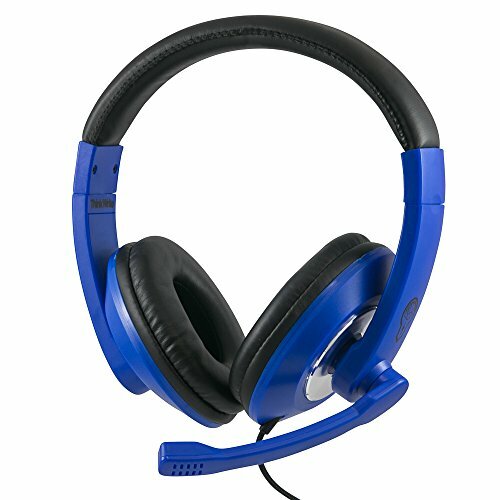 The headset is constructed with a special plastic on the headrest that can be bent to extreme positions without breaking and also has an extra thick cable with built in volume control. High quality sound drivers for excellent music playback experience. If you have any questions about this product by ThinkWrite, contact us by completing and submitting the form below. If you are looking for a specif part number, please include it with your message.